Home » Health & Lifestyle » Emotional Health » What Does It Mean to Be Healthy with Diabetes? Being healthy, and being healthy with diabetes, means different things to different people! Because there’s no single answer when it comes to what constitutes being ‘healthy’, this post won’t be about how I think you should live your life in order to be healthy but rather the different components of being healthy with diabetes and how I think about them. Then it’s up to you to make your own definition of what health looks like to you. It can remove some of the emotional noise surrounding the word “health”, making it less important how others define it and only truly important how you define it. When identifying the components of health, I lean towards the definition that health includes physical, mental and social balance rather than simply the absence of illness. What I like about that definition is that it recognizes that those of us living with a chronic condition can still be healthy. And I truly believe that we can be! 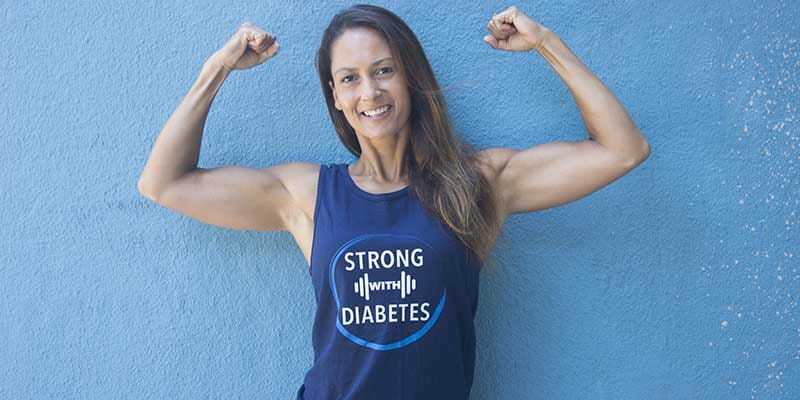 I have diabetes, but I still consider myself quite healthy. When it comes to physical health, I think of it as a body which is well nourished, exercised, rested, in general balance, and with well-managed blood sugars. That’s a tall order, and it could be even taller, for as mentioned, the exact definition will be up to you. Am I eating the right amount of calories and macronutrients to fuel my activity level and fitness goals? Is my exercise routine (volume and intensity) giving me energy and building stamina and strength or is it taking energy, making me feel drained or bored? Am I getting enough quality sleep? How do I feel? Is my digestion working as it should, am I energized, etc.? 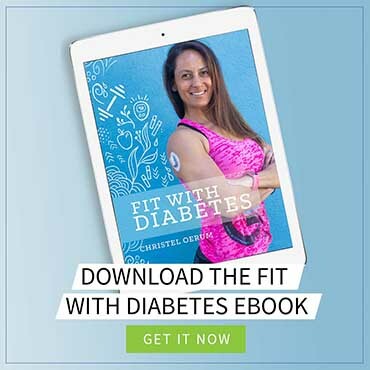 Is my diabetes affecting my physical well-being, and if it is, am I spending the energy needed to manage my diabetes according to my diabetes management goals? An assessment like this is, of course, subjective, but I think it’s a good starting point for identifying what’s important to us individually when it comes to physical health and help make an improvement plan if needed. There is a lot of overlap between our physical and mental health, especially when it comes to living with diabetes. Mental health, of course, encompasses so much more than what’s related to diabetes, but I will focus on diabetes in this post. Am I at risk of any degree of diabetes burnout, and what are some of the preventive measures I can take? Am I being kind to myself by building myself up and not talking myself down? Am I accepting that I can’t control everything about my diabetes and therefore never will be in complete “control”? Do I prioritize my happiness and continue to have a positive outlook on life and my diabetes management? I find that just thinking through these three points can help address unhealthy mental behavior and be a cornerstone for making positive changes if needed. Finally, we have social health. This one took me a little longer to define since I tend to bundle it in with mental health checks. However, the more I think about it, the more I think that it needs to stand on its own. When I think of social health in a diabetes context, I think of how we as people living with diabetes allow others to interact with our condition. It’s how we react when people ask about it, how we interact with other people living with diabetes, and how we tackle food choices when “in the wild”. How do I handle times when I’m not comfortable sharing my diabetes with others? I think it’s ok to not want to talk diabetes with others sometimes, but I also acknowledge that people don’t necessarily know or understand that, so I need strategies to handle those situations. 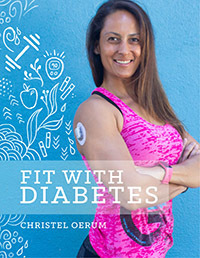 Acknowledging that my diabetes management is “mine” because only I can define what success is. It may differ significantly from other people’s definitions of success when it comes to blood sugar control and food choices. And that’s OK.
Learning how to say no to food pushers or people implying (or telling me directly) that there are certain things I can’t eat. Developing strategies for dealing with food (carb counting) uncertainty when I am eating out or in social settings. As mentioned, this is how I think about the three health categories and what’s important to me when it comes to my physical, mental and social balance. I encourage you to think of minimum three things for each category that are important to you and then make them a priority. Sometimes all it takes to see a significant improvement in one’s health is to focus and make a few small adjustments. Will spend some time thinking about this, as was furious this week when a well-meaning friend asked me how I was going to stay accountable to my fitness goal long term if I didn’t tell a lot of people about it. It’s a personality difference I know, but ever since my diagnosis at age 14, I’ve never felt anyone else enhanced my accountability. Very good points to consider.